It’s no secret that black men are often blessed with a full head of thick hair. But, with incredible volume comes the need for an appropriate hairstyle. A cut that tames your wild locks while showing them off is the ideal solution. Luckily, we’re here to help you find a look that suits your strands while also looking seriously stylish. 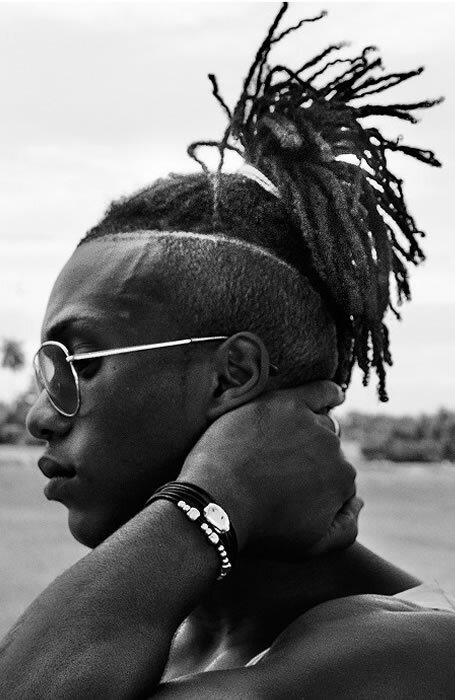 From smooth fades to casual dreads, these are the best Afro hairstyles for men. Add some shape and definition to your Afro with the addition of a stylishly subtle side part. To do so, prepare your damp hair with a cream or oil to help prevent tangles and use the end of a rat tail comb for parting. If you have an abundance of volume and texture, why not show it off with a short Afro hairstyle? There’s nothing like this classic look for a fresh and practical style. 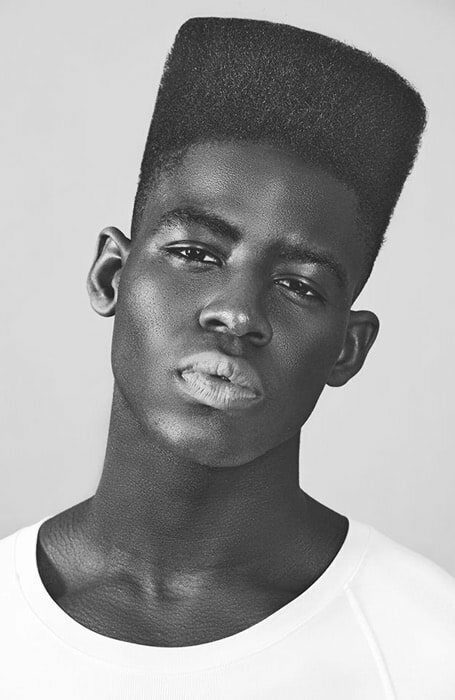 A classic Afro flat-top will put all that volume to good use. The trick to nailing this cut is to ask for a slightly rounded right angle where the sides of your hair meet the top. 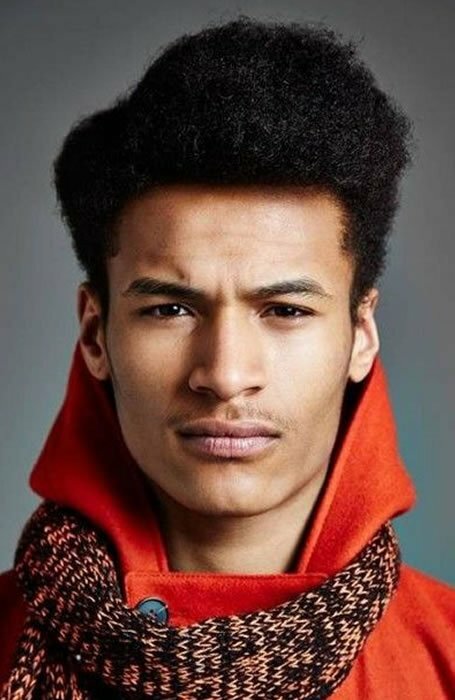 Want to change up your Afro without cutting into it? Consider a coloured Afro for your next style. In particular, shades of blonde are perfect for creating an exciting appearance that is appropriate for any occasion. If you’re looking to give your Afro a sophisticated touch, you should consider a cut with a low fade. By simply having your barber trim the hair next to your ears, you can make your look instantly more modern and sleek. 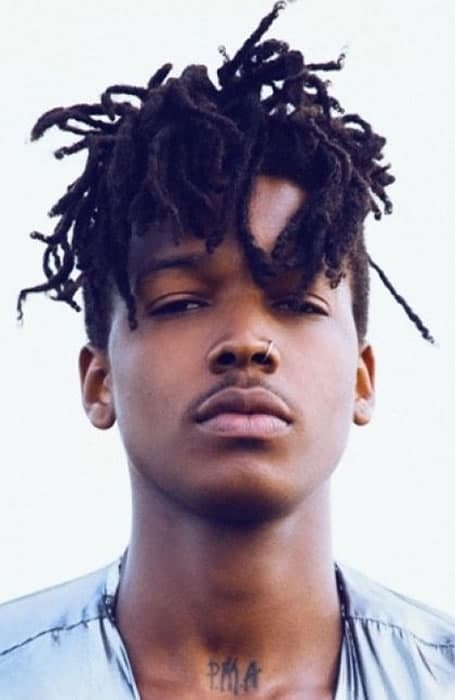 If you like the look of dreadlocks but find that they’re a little too wild for your work environment, you should consider trying short Afro dreads. 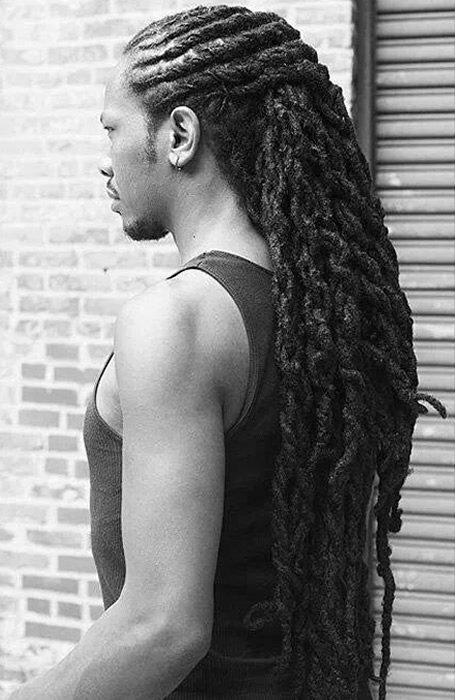 To create the look, opt for a short length and add a smart part to the middle of your dreads. 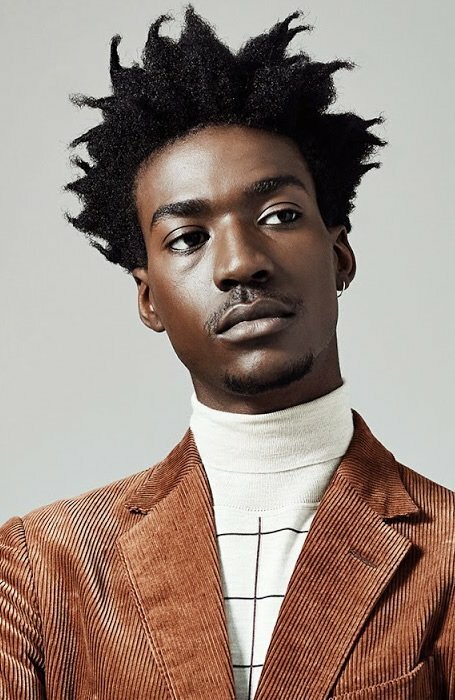 If you’re the kind of gent that doesn’t play by the rules, long messy Afro may just be the look for you. Big, bold and daring, this unique style is sure to turn heads. An Afro fade haircut is an excellent option for adding a smart and sleek touch to your look. Best of all, you can partner it with any hairstyle on top. One of the great things about Afro hairstyles is that they can work for any hair length. 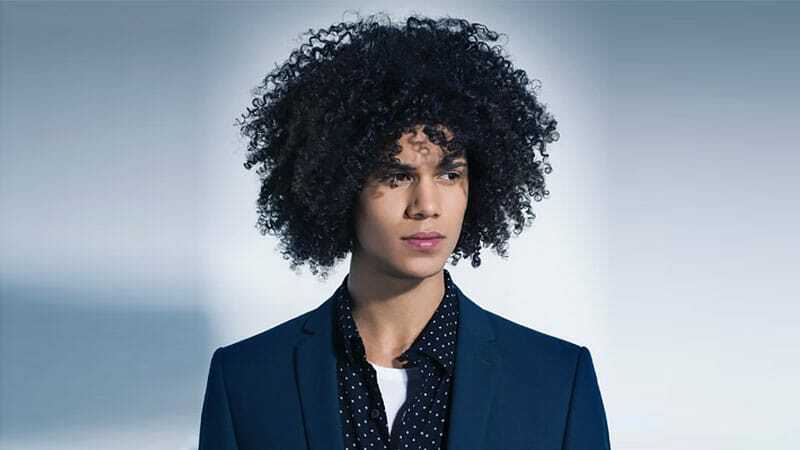 So, if your locks are a medium length, why not try a curly mid-length Afro with natural curls for an excellent full-volume look? You don’t always have to opt for a long hairstyle for a bold look. A bleach blonde buzz cut can create just as much impact as a supersized black Afro. Take your style to the sea with some incredible Afro beach waves. Just utilise curl-defining products and creams to achieve the perfect curled appearance. Want to take your flat-top to the next level? 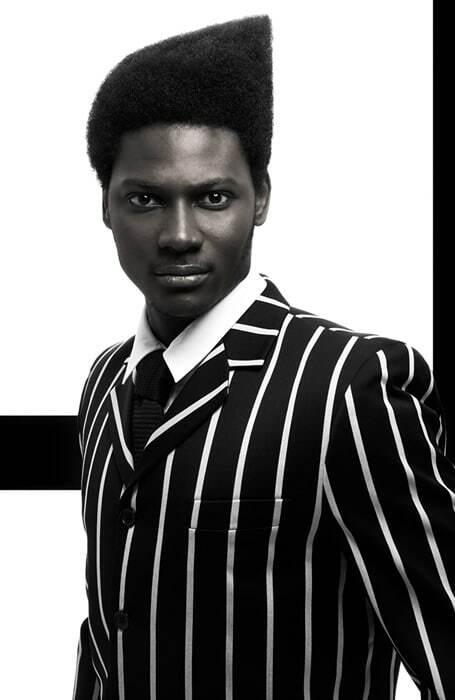 An asymmetrical flat-top Afro will provide you with a bold and eye-catching look that’s sure to enhance your style. 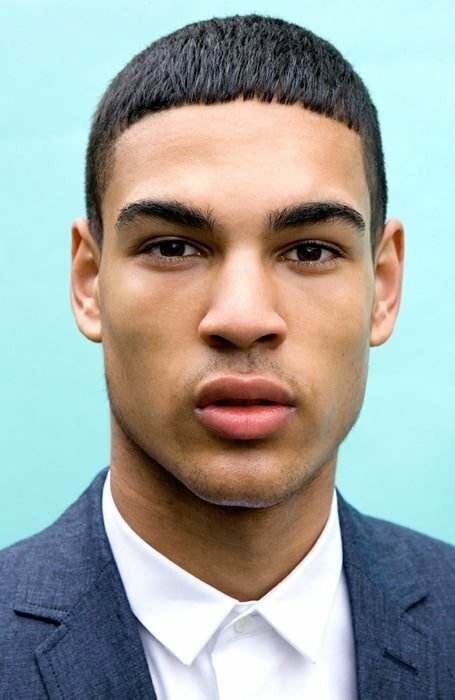 An Afro with short back and sides is a smart and stylish look for gents. To nail the style, visit an experienced barber and have them gradually transition your locks from long on top to short around your ears. 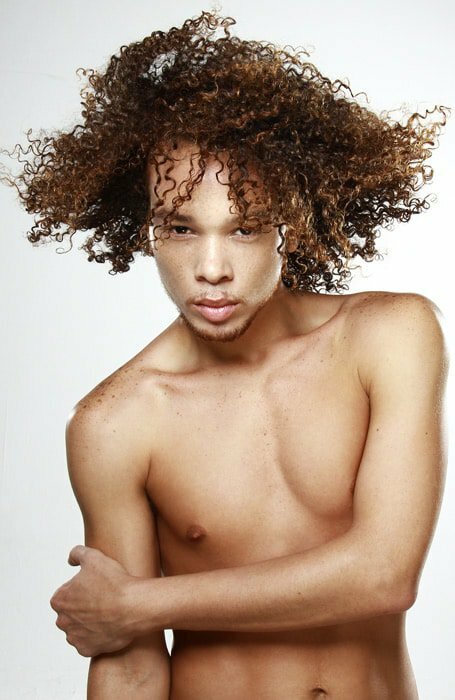 For a look that’s both cool and practical, medium-length Afro dreadlocks make an excellent choice. Just chop them at chin-level to achieve a flattering and easy-to-manage style. 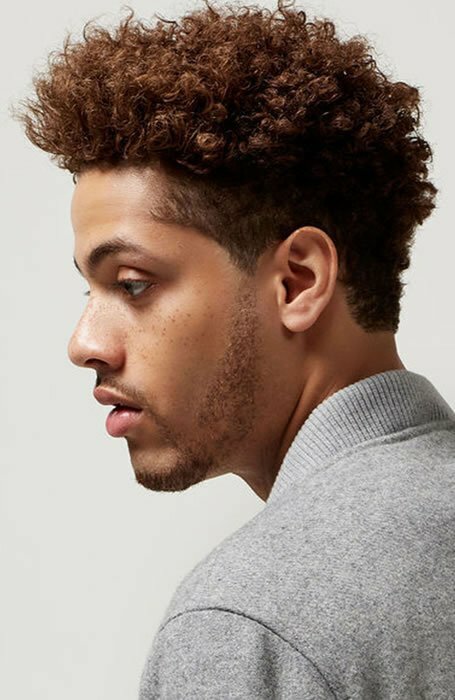 Combine two great styles in one with an impressive Afro undercut hairstyle. The high-volume look features a long top, styled up using a blow-dryer and products, as well as shaved sides. Keep your dreads out of your face and looking great with a dreadlock topknot hairstyle. For more interest, just add a stylish undercut and hard part. 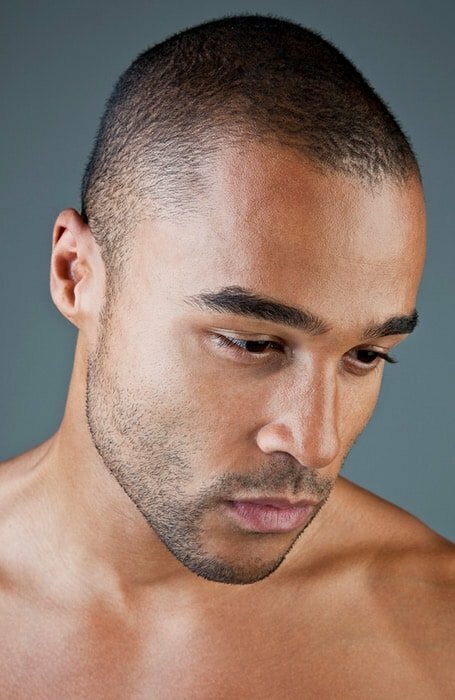 Forget playing it safe an embrace a daring new look with an Afro skin shave hairstyle. As striking as it is stylish, this look is perfect for fashion-forward gents. 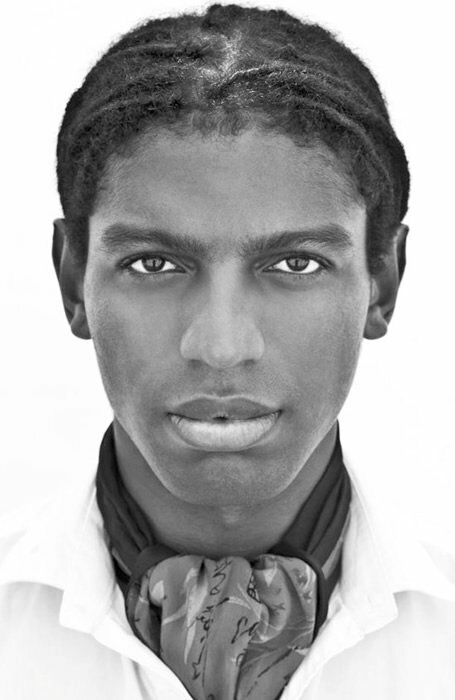 By twisting sections of your hair into small points, you can easily achieve an impressive Afro with short spiky curls. 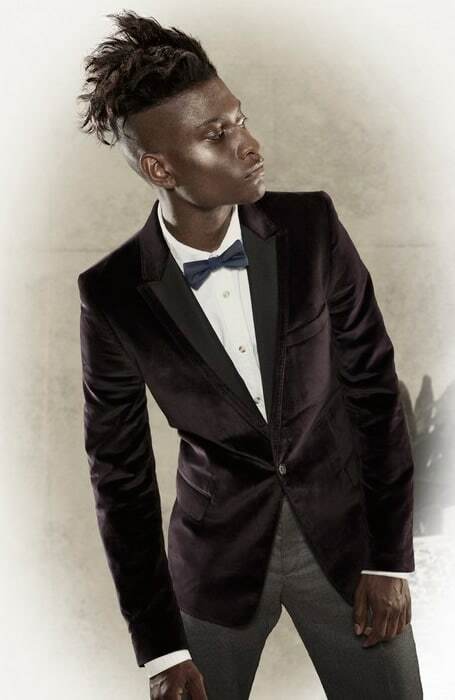 Give your voluminous curls a sense of shape and definition by opting for a twisted, Afro mohawk hairstyle. The modern look is on-trend and perfect for 2018. 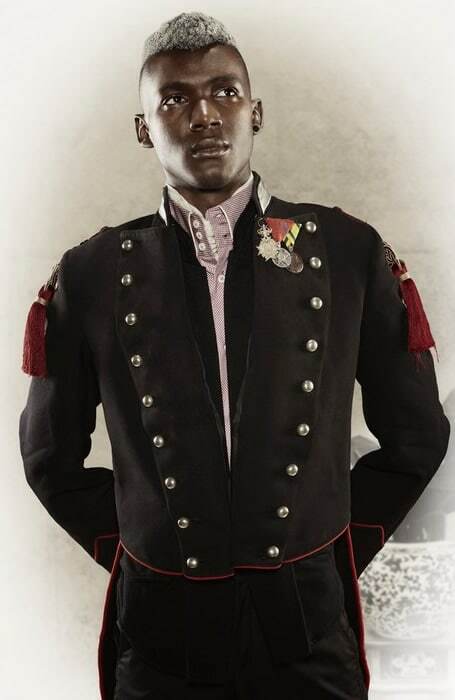 Add a military touch to your Afro-textured hair with a high fade haircut. Featuring super-short sides and a slightly longer length on top, this cut is sleek and smart. 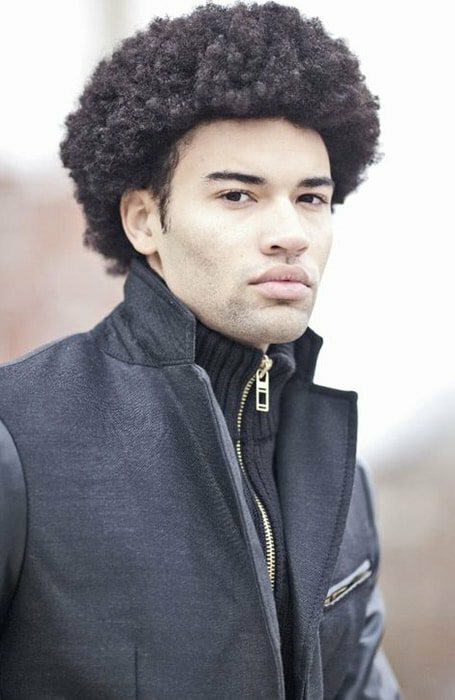 An Afro with fringe can make an excellent choice for black men. The look, which is similar to a Caesar hairstyle, can easily be worn straight or with waves. 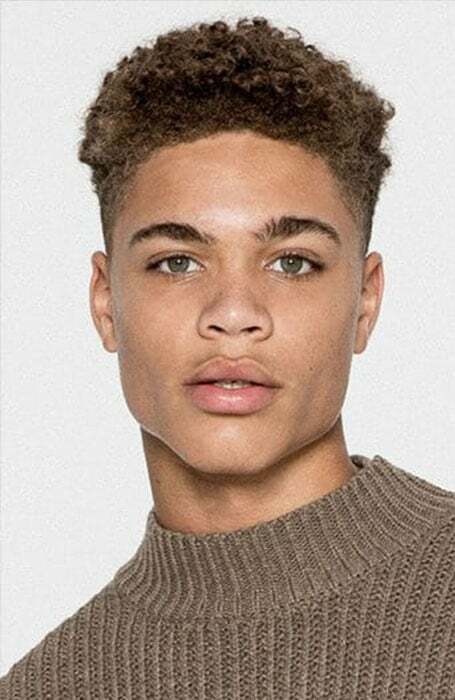 If you love the practicality of short hair but prefer a more striking look, you should consider opting for a short Afro with a hard part line. 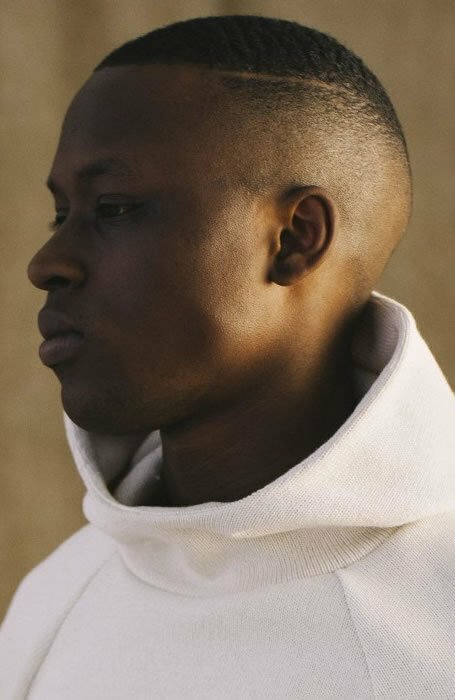 The cut, which features a shaved line along one side of your head, is simple yet seriously stylish. 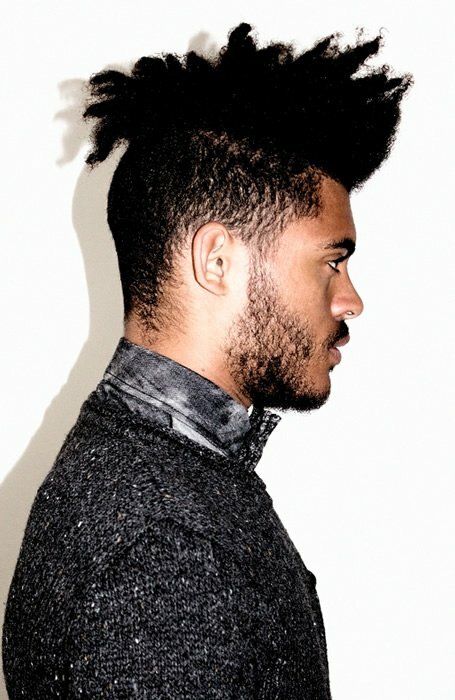 Give your hair the appearance of a bold mohawk with an Afro faux Hawk. All you need to do is cut the sides of your hair short and let your natural volume do the rest. When it comes to hair, nothing beats a classic cut for timeless style and wearability. 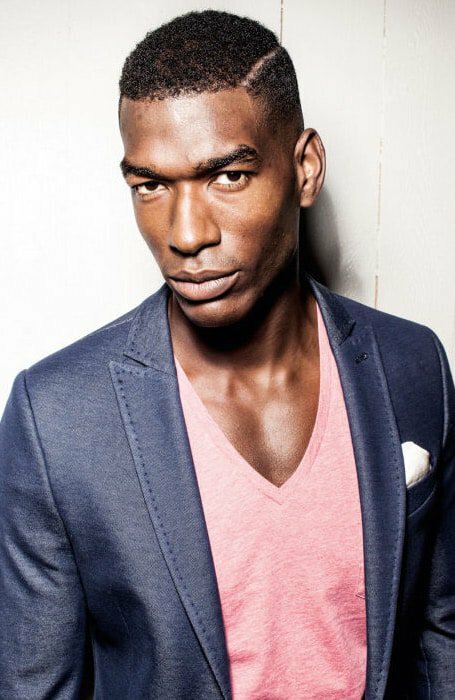 As such, an Afro Caesar cut makes a terrific option for those who are beyond fads and trends. Sometimes less really is more. 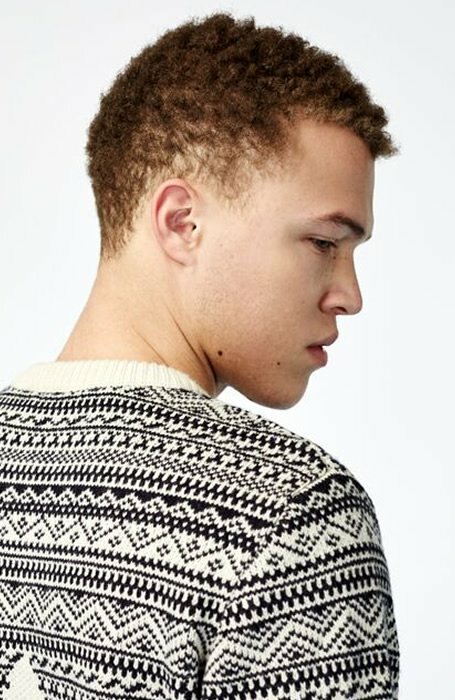 So, if you want more style and practicality, consider cutting your hair into an ultra-short Afro buzz cut. You’ll be able to show off your thick and voluminous hair in all its glory with an Afro blowout hairstyle. To achieve the look, just blow-dry your roots after washing, directing them upwards. Want to show off your curls while keeping them under control? A mini Afro with short sides is the perfect solution. For those who like a braided look, zig-zag Afro braids can make an exciting option, As artistic as it is impressive, this look will earn you serious style points. 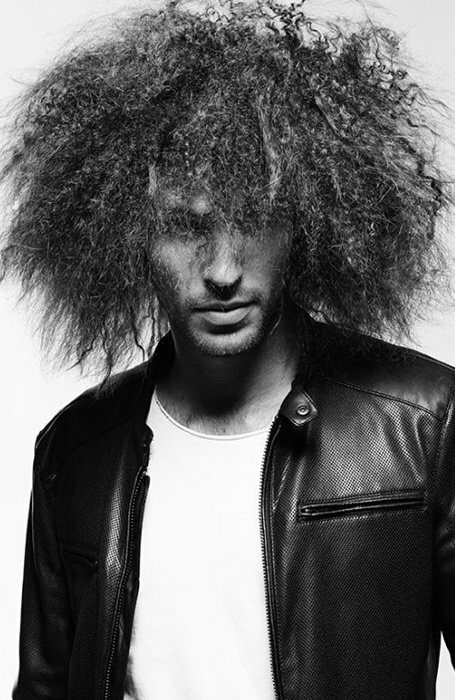 Want to rock a killer dreadlocked look? 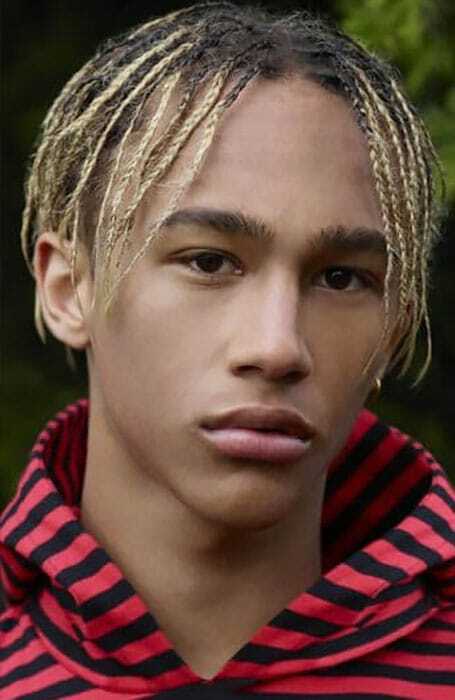 Afro braided dreads can make a seriously stylish choice for gents. They can even be tied into a half-up style to keep them out of your face. Want to turn heads as you walk down the street? 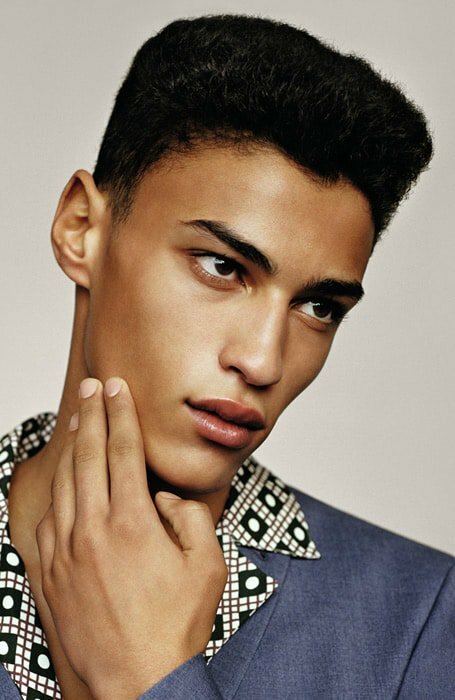 An Afro side part with skin shave style is just what you need. 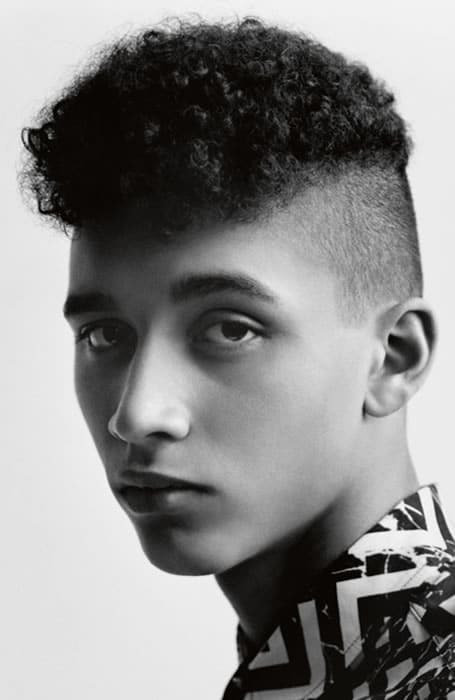 Wild on top and sleek on the sides, the contrasting look is bold and striking. 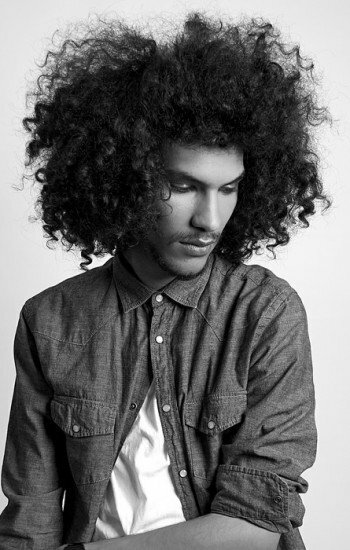 You can show off your curls without letting them run wild with a medium length Afro. Practical and stylish, this look is great for gents. Want to add a point of difference to your Afro hairstyle? 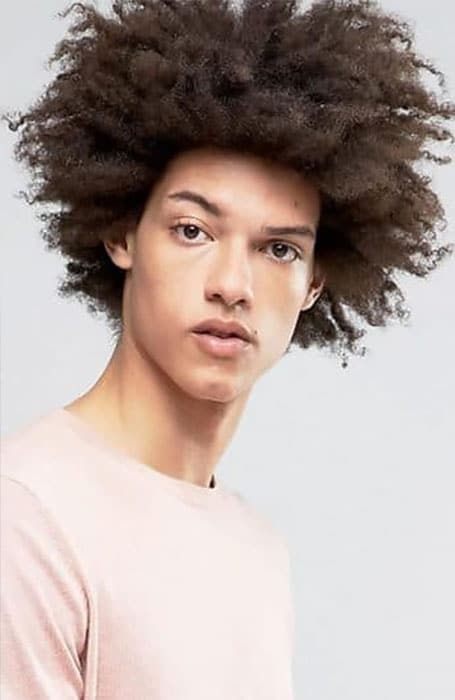 Consider rocking an Afro with a middle part for a uniquely stylish look. 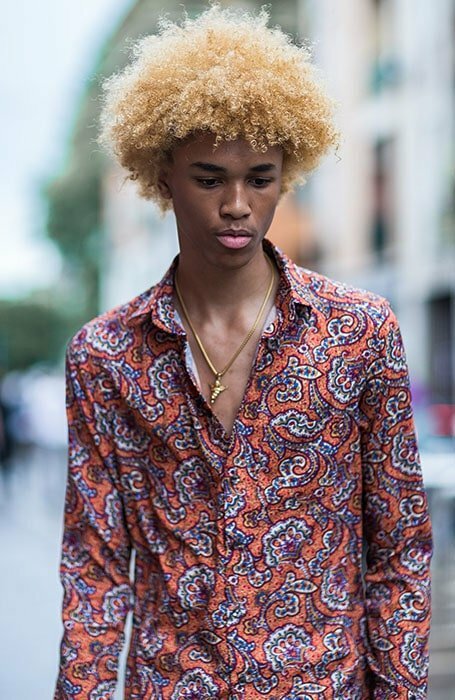 Who says you need to be young to rock an awesome Afro? 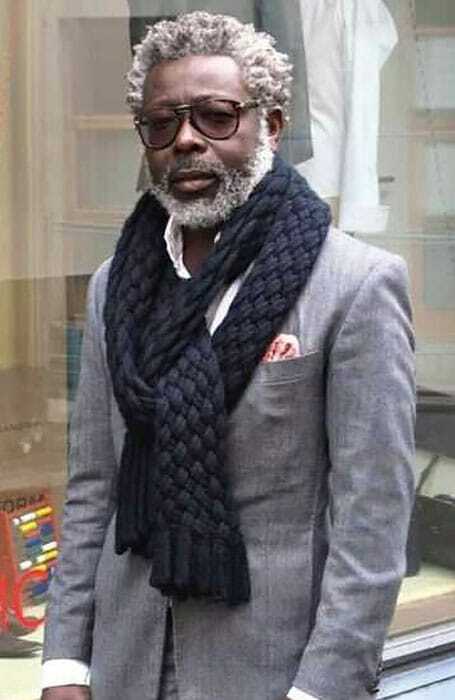 A grey Afro can look just as good as black one. Just make sure you keep it neatly trimmed to ensure a suitably sophisticated look. Looking to add a youthful twist to your Afro look? Blonde braids are the perfect option. Cool and carefree, this bleached look can accent your style with a fun touch. You’ll look sleek and suave when rocking an impressive hard part with a fade hairstyle. 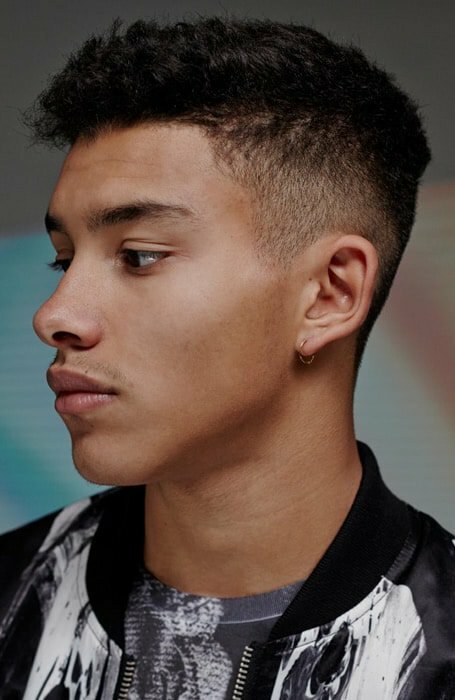 To nail the look, ask your barber for a cut that gradually tapers from a longer length on top to no hair around the ears with a shaved line on one side.